In Africa, 80% of agriculture production comes from smallholder farmer, about 50% of which come from rural women (FAO, 2011). However, women continue to face constraints that hinder them from realizing their full agricultural production potential. They include: poor land tenure, lack of access to credit facilities, lack of participation in agricultural decision making processes and limited access to agricultural and market information. Additionally, according to the Kenya National Bureau of Statistics (KNBS’) Labour Force Basic Report(2018) , youth (age 15-34) account for 33.5% of Kenya’s population. With over 80% of the unemployed in Kenya being the youth, the agricultural sector presents a huge opportunity for creation of employment and increasing food security. Removing barriers for women and increasing youth participation in the agricultural value chain are therefore crucial to a transformed agriculture sector in Kenya. The Malabo Declaration of 2014 sought more commitment from African governments on transforming agriculture to fight food insecurity and poverty. To track progress made by countries towards the set targets, countries are expected to report biennially for different indicators. According to the 2018 Malabo Biennial Report, Kenya did not submit 9 indicators for scoring. Two of these indicators concern women and youth in the Agriculture value chain. These indicators are: Indicator 4.3 Percentage of youth that is engaged in new job opportunities in agriculture value chains and 4.4 Proportion of rural women that are empowered in agriculture. This was further confirmed by Local Development Research Institute (LDRI’s) Malabo Open Data report which shows this data is not available online from either national or international sources. This data does not exist. One of the recommendations from the biennial report was that, Kenya should strengthen its systems for data collection on Malabo indicators to fill the data gaps specifically for women and youth in agriculture. Beyond the two indicators, is data along the whole agricultural value chain such as, farm inputs, processing, transport, commodity pricing, marketing research and agricultural innovations. For agricultural transformation to happen, there needs to be targeted interventions informed by consistent good quality data along the whole agricultural value chain. Investment in women and the youth provides an opportunity to enhance agricultural productivity thereby improving livelihoods, addressing food insecurity and poverty. However, it is important to first understand their participation in the various priority commodity chains. This can only be understood by looking at available data and statistics and using them to understand how to reduce barriers for women and include the youth. The interest and willingness to actively participate in agriculture must be matched with available opportunities and investment by the government to bring about agricultural transformation and growth in agricultural productivity both of which must be informed by data. The Kenyan government therefore needs to strengthen its systems to collect data on women and youth in agricultural commodity value chains. With this, it becomes easier to detect where the gaps are and what needs to be improved for women and youth in agriculture. With the youth unemployment rate higher than the average national unemployment rate in Kenya, the agricultural sector provides an opportunity for unemployed youth to work and earn a living. 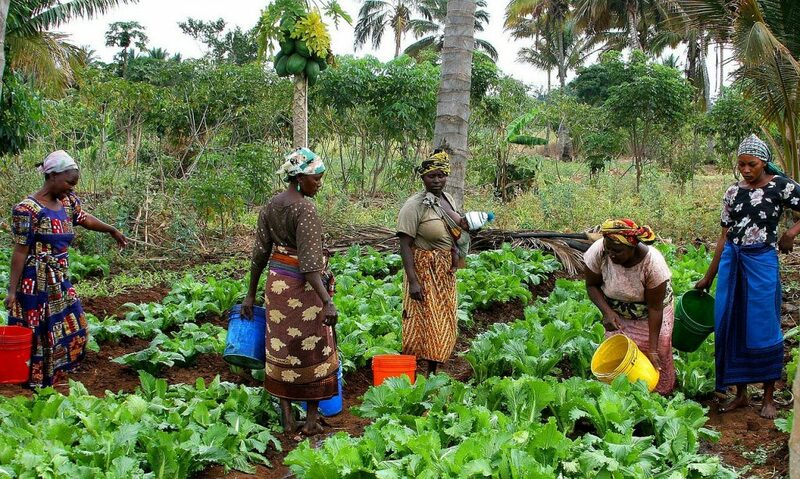 At 50% agriculture labor force, women are important players in the agricultural sector and addressing the constraints they face serves to increase their agricultural productivity.